Our philosophy is pretty simple: Work hard. Love big, Have fun. And make sure that every couple we work with can rest easy knowing that we've got it all covered. 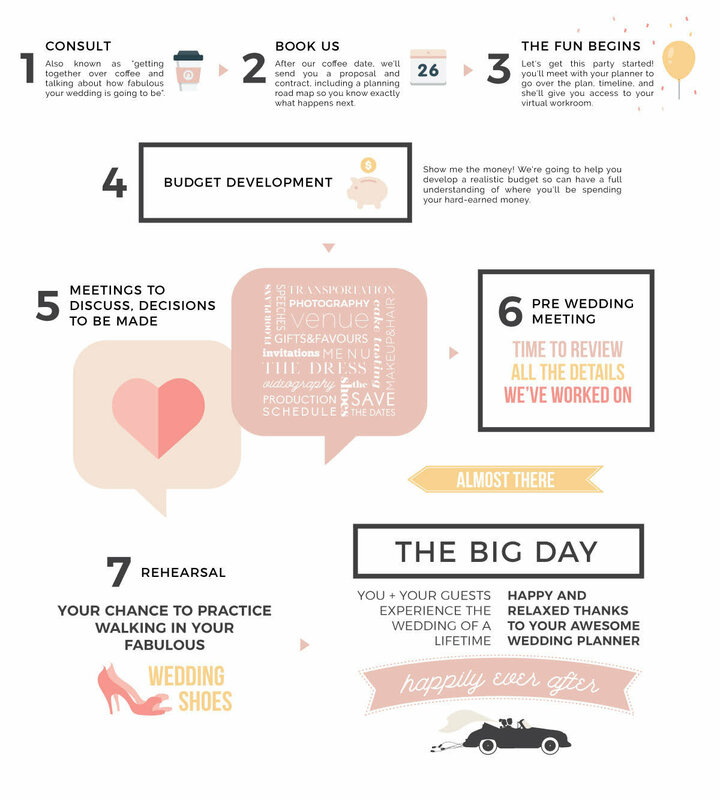 We want you to soak up the experience of being engaged and planning a wedding without stressing over a zillion details! We believe in celebrating in style, so if you are dreaming of a swoon-worthy wedding, we're your go-to peeps. 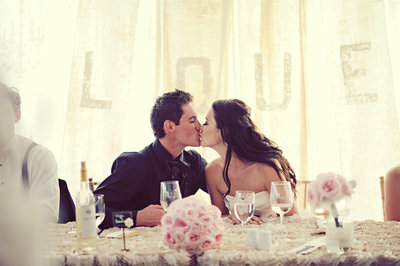 We design weddings that put Pinterest to shame - because they are personal, thoughtful, and experiential. 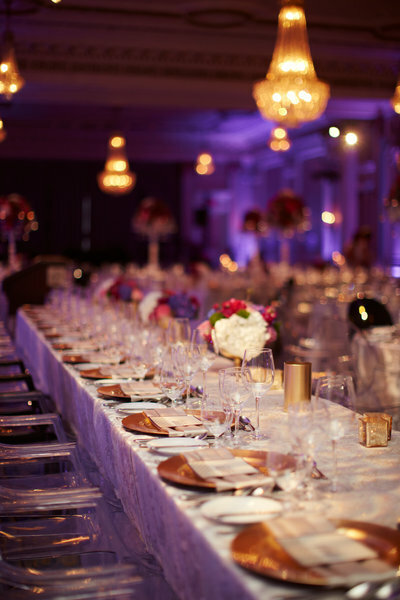 We believe that a wedding is about more than checklists and floor plans; it's about celebrating this fabulous time of your life with an unforgettable experience. "calm, collected, and infinitely wise." I can't express how amazing Janna is...She worked so hard for us and was worth every penny and more. The amount of time she put in, her knowledge of vendors, her passion - I'm so impressed. We even surprised her by moving up our date- she pulled it off in 3 months! She's worth triple her fee...easy. We couldn't have done it without her. We loved her! We couldn't have asked for a better party. So many compliments from our guests - it was the best wedding many people had ever attended. Food was amazing, dance floor was packed all night - it was perfection. I would recommend her 1000 times! We want to send you and your team our most heartfelt thank you! No words can explain how grateful we are to you. Our big day was above and beyond anything we could have possibly imagined - you went so above our expectations. We can't believe all of the little things you thought of - guests have been raving about everything from the food, the cake, signs at the doors, and everything else. You guys are so great at what you do - you can see the passion you have in every step of the planning process. Thank you for making our day so special. You ROCK! All of our love! "STRAIGHT OUT OF A FAIRYTALE"
I love love love Mary and her team! With a few ideas and vision, she was able to transform our wedding day into one that no-one who was there will ever forget. People are still talking about it! It was a perfect day, no exaggerations! From the design to the setup and organization to the execution - FLAWLESS. I couldn't have asked for anything more. I honestly didn't have to worry about a single thing on my wedding day. Because of their exceptional work, our wedding photos were featured in a magazine. We are so grateful to have worked with such a wonderful person with so much talent. Thank you, a million times over! We cannot say enough good things about Janna! 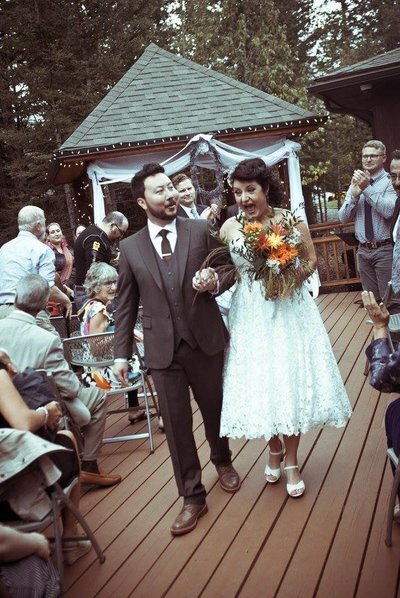 Our wedding was over and above what we expected. Without Janna our wedding would not have been even close to our dream wedding. She understood our vision and made it come to life! Janna was extremely professional and organized. Her unique and creative yet doable ideas were above and beyond. The day of the wedding, she was nothing but amazing. To this day, we still have friends and family talking about our wedding - it was truly a night to remember. We would urge anyone to use her services! Thanks Janna, for creating the perfect day for us! Janna is unquestionably a wedding planner extraordinaire! The consummate professional, she overflows with energy, enthusiasm, and creativity. Her passion to make dreams come true is evident the moment she flashes her contagious smile - a smile that lasts throughout the longest of days. From design to decor to vendor coordination to day-of production planning to scheduling and logistics... she never stopped smiling. Her organizational, time management and people skills are exemplary, and her energy never wanes. She consistently exceeded our (very high) expectations, and I cannot adequately express my gratitude and appreciation for the many ways she went over and above. Mary! Your attention to detail is second to none. Thank you for all of your hard work. 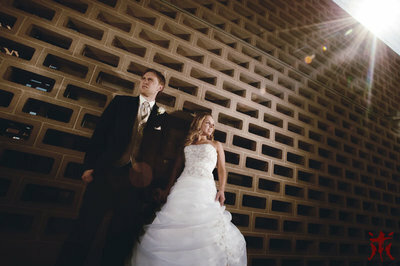 Aaron and I were blown away when we saw the design and decor in the ballroom! Your attention to detail is second to none and the memories that I took away from that day with be with me for a lifetime. Our guests continue to say that our wedding was the best that they have ever attended. Over the last year I've learned a lot about the wedding industry and consider myself lucky to have been referred to you. It didn't take long for me to realize that we had found someone very special to help us turn our dreams into reality. Everything was amazing and we couldn't have achieved absolute perfection without you and your team! I can't thank you enough! Mary and her team saved our asses so to speak (sorry for the language Mary!). Calm, collected, and infinitely wise, she talked me down from many ledges as the bride-to-be. Once we were able to pass everything off to her, it was a dream! I didn't worry once in the weeks leading up to our shitshow of a wedding that ended up to be absolutely perfect (at least from my perspective) in every way. And I know for a fact that it had everything to do with Mary. THANK YOU THANK YOU THANK YOU to Mary and the Smitten team! I would absolutely recommend Smitten to everyone who needs help with what should be one of the most fun days of your life - I know ours was! "we couldn't have asked for a better party." We're what's known as a "full-service" agency - which means that we have services for ALL THE THINGS! From full planning + design to destination weddings to "month of" coordination (some people call this "day of" coordination) and MORE, we are trained and experienced in all areas. No matter what service you're looking for, one thing is certain: we'll take good care of you, your family, and your guests. Pinky-swear! Starting prices are noted: however, we provide custom quotes for each wedding based on your individual needs. And best of all? We offer payment plans so that you can still afford to splurge on shoes. YOU ONLY GET MARRIED ONCE (WE HAVE FAITH!) lET'S MAKE IT A JAW-DROPPINGLY GORGEOUS, PERFECTLY PLANNED EXPERIENCE THAT YOUR GUESTS WILL RAVE ABOUT FOR YEARS TO COME. For one-of-a-kind couples who want a one-of-a-kind wedding! If you want something extraordinary, if you want to knock the socks off of your guests, if you want to have the most amazing experience of your life... you're in the right place. Design is more than picking pretty linens - it's about designing a complete experience, from the moment your guests arrive until the final notes of the last song of the night. Yes, we plan pretty parties - but that's just a small part of it. From your food to your entertainment and beyond, we are always looking for ways to creatively delight your guests. 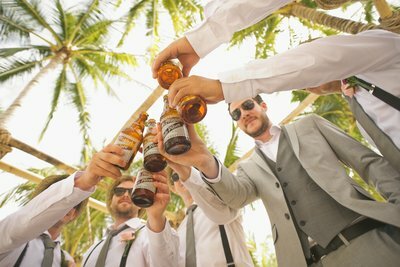 We want your wedding to be a night that your guests remember for the rest of their lives - because let's face it, we don't get many opportunities to just go all out and celebrate like there's no tomorrow! If you're gonna get married and have a wedding, you might as well make it unforgettable! *Pssst. Just a quick note: We believe that no two weddings are the same; so we don't think it's fair to price all weddings the same. 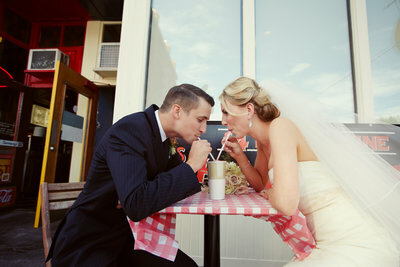 We provide custom quotes to every couple based on your specific needs, dreams, hopes, desires... you get the picture! YOU'RE A PLANNER AT HEART. BUT YOU'RE DREAMING OF A WEDDING THAT LOOKS LIKE IT BELONGS ON THE COVER OF WEDLUXE MAGAZINE. WE CAN MAKE THAT HAPPEN FOR YOU. We have a secret to tell you: we design. 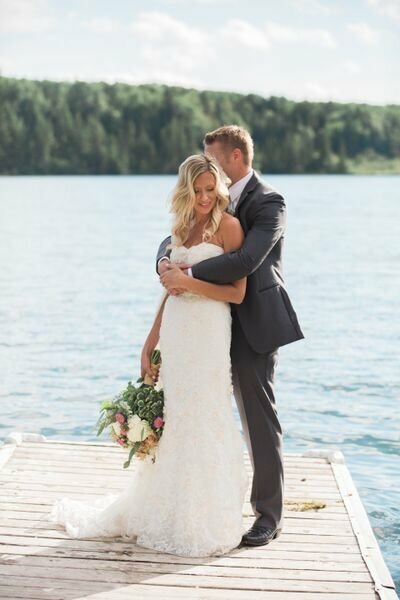 We are so passionate about taking your love story and weaving it into the overall experience that you and your guests will share at your wedding. 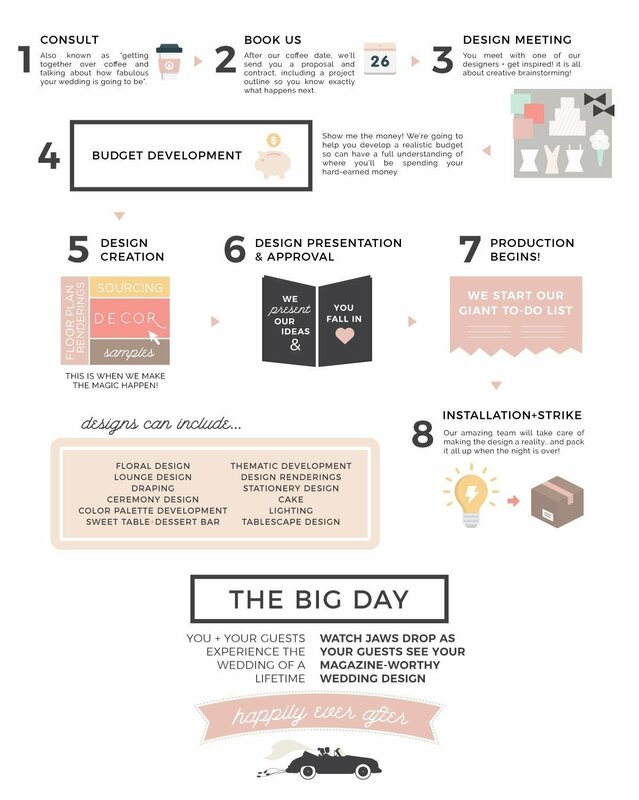 THAT is what design means to us - it's about more than chair sashes and uplighting. We care about the flow of the event, the comfort of your guests, the building excitement and energy as the day goes on. We thrive on finding creative ways to marry your personality with the style of your wedding - so much so, that when your guests walk in, they'll say "WOW - this is so (your name) and (the love of your life's name)!" We have developed a creative design process that is collaborative and experiential. We design to the personalities of our couples - because we believe that design is inherently personal. And yes - we'll make your wedding drop-dead gorgeous - that's the really fabulous icing on the cake! WE TOTALLY GET IT. YOU WANT A SENSATIONAL EXPERIENCE, BUT YOU'RE NOT TOO WORRIED ABOUT THE DECOR. GOOD NEWS! WE'RE INSANELY PASSIONATE ABOUT CHECKLISTS, DETAILS, AND MAKING SURE SH*T GETS DONE WHEN IT NEEDS TO BE DONE. 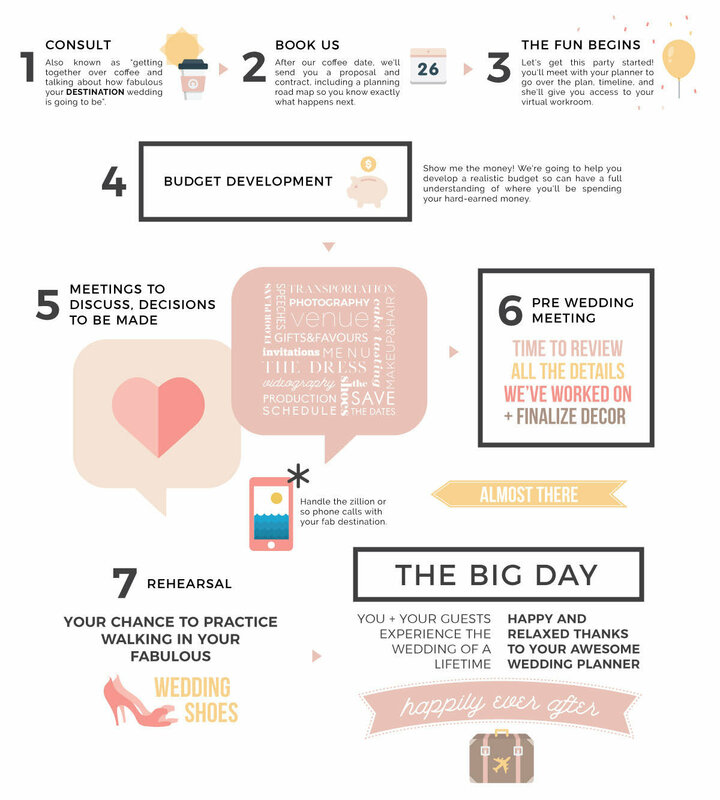 If you're pretty darn sure you know exactly what your wedding will LOOK like (or you just don't really care that much about that part), we've got your back. Our team is comprised of completely OCD plan-a-holics, so you're in the best of hands with Smitten & Co. We can seriously talk all day long about logistics, floor plans, contracts, systems and processes, budgets, timelines... you get the picture. If reading that made your blood pressure rise, then honey, you NEED a wedding planner. We plan weddings ALL. THE. TIME. We eat, sleep, and breathe weddings. We have become wedding planning experts so that you don't have to be. So give us a ring or shoot us a text message, put your feet up, grab a cocktail, and stop stressing. We've got your back. YOU ARE A ROCK-STAR! 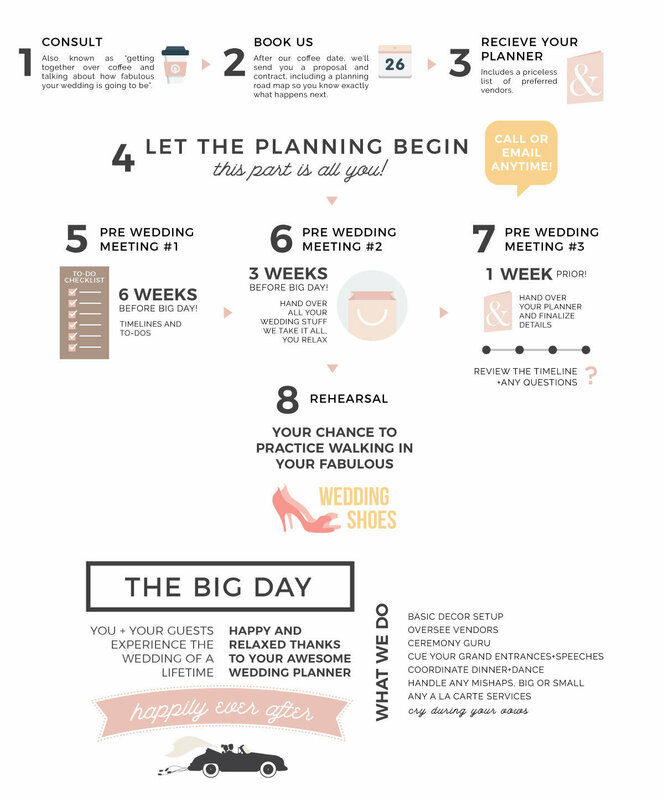 YOU HAVE MAD PLANNING SKILLS, BUT YOU HAVE NO DESIRE TO CARRY AROUND A CLIPBOARD ON YOUR WEDDING DAY. CALL US - WE'LL TAKE IT FROM HERE. 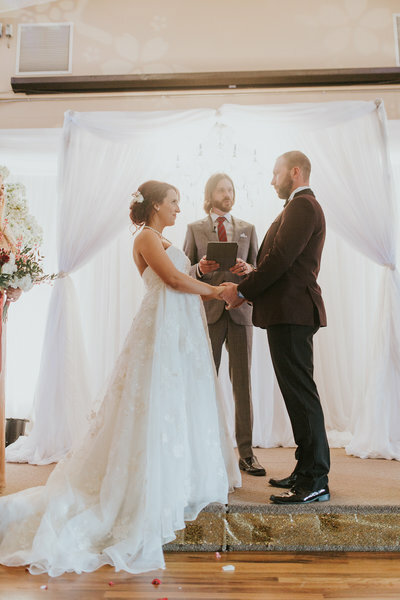 If you are the kind of couple that is pretty darn confident that you can handle the zillions of details that go into planning a wedding (or maybe you even LOVE it - in which case, give us a call, we're always looking to grow our team! ), you are our kinda peeps. But let's get real for a minute here - you do NOT want to try and juggle being the host/hostess with the most/mostess AND the guests of honour AND be managing a team of wedding vendors and timelines on your big day. Hell no! 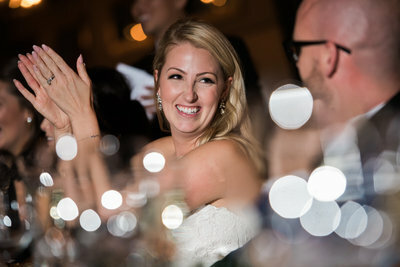 And please, for the love of all things sparkly, don't make your family work at your wedding. I know your Aunt Susan says she's "more than willing"... but just, no. Let them relax, let them celebrate, let them be guests! 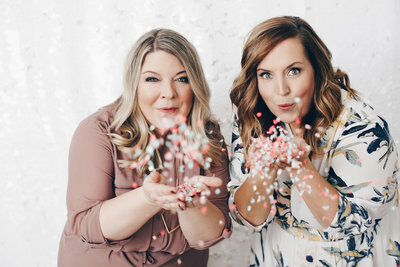 We are your new best friends, because we're going to take all of your fabulous planning and make it a reality, and you aren't going to have to worry for one second. And even Aunt Susan is going to be secretly relieved, we promise. Little known fact: we can plan weddings anywhere and are LICENSED TRAVEL AGENTS! We know how to navigate the uncharted territory of planning weddings in any destination. We are members of ILEA (International Live Events Association), which means we have wedding and event industry contacts all over the world - kind of important when you're planning a wedding from thousands of kilometers away! 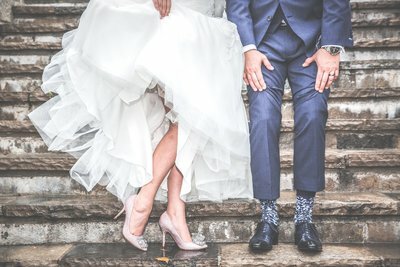 Whether you're dreaming about getting married at a castle in Scotland, a Vineyard in California, or an all inclusive resort in Mexico, we are here to manage all of the details so that you can enjoy your dream trip - instead of dealing with a nightmare of logistical issues because your resort got your wedding date mixed up with someone else (true story, it's happened!). Unlike many destination wedding planners/agencies, we manage all of your travel logistics (for you AND your guests), and we actually fly to your destination and manage everything at the location too. Yep - we're that dedicated. We want to make sure that you and your guests have the experience of a lifetime. 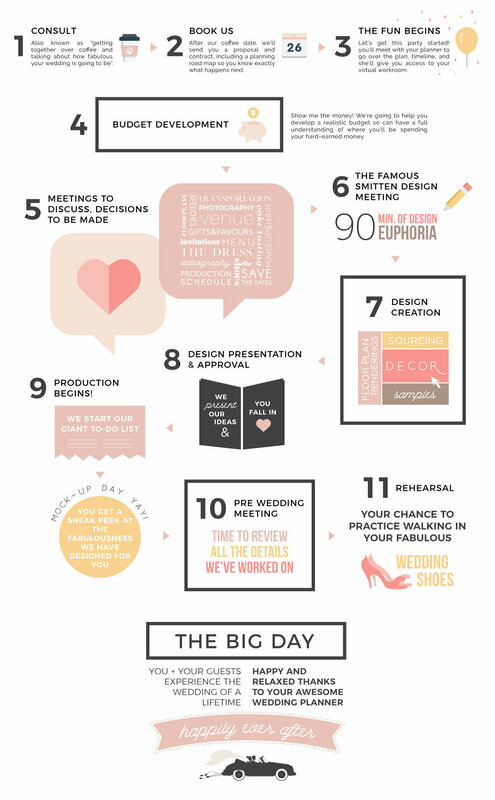 Planning a wedding is not for the faint at heart! 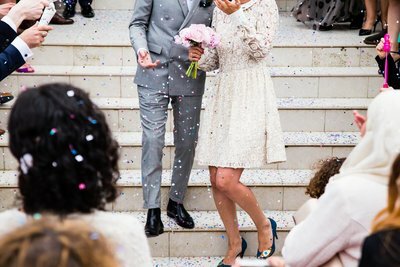 Whether you need a little bit of help leading up to the wedding or want a professional to guide you through every step, we've been there, done that, got the blisters to prove it. Our prices reflect our experience and professionalism - no mom'n'pop shop here! We focus on the experience from start to finish. LET'S MEET FOR A COCKTAIL! CHECK OUT OUR PRETTY PICS ON INSTAGRAM! LOVE, AND A GREAT WEDDING PLANNER. 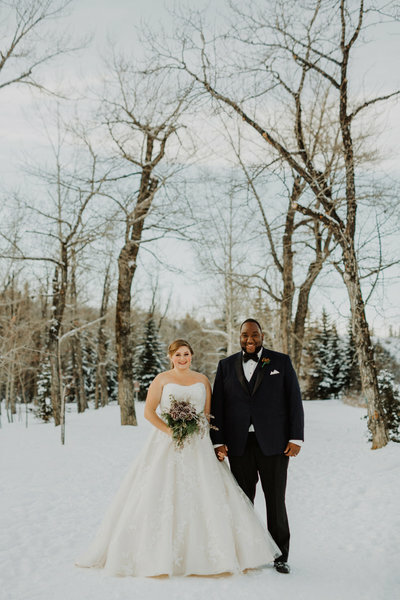 We're based in Calgary and we love to travel and plan weddings anywhere in the world - because love knows no boundaries. 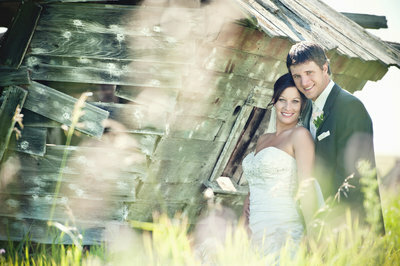 Local, mountain, and destination weddings welcome. ALL RIGHTS RESERVED | SITE BY ME&CO.